Dr. Kastrup is a board certified orthopedic surgeon renowned for his use of recent technological advancements in joint replacement, including Custom Fit Knee replacements. Dr. Kastrup works one-on-one with patients to determine the best treatment options for relieving arthritic pain and to help patients return to their favorite activities safely and pain-free. During normal movement of the knee, the joint experiences inherent stress from carrying the body's weight. Two soft pieces of cartilage, known as the menisci, located between the femur and the tibia, act as shock absorbers during movement. In addition, this protective cartilage also creates a smooth surface for the bones of the knee joint to glide on with very little friction. Damage to the protective cartilage can cause an increase in friction during movement, pain, as well as bone damage. One of the most common causes of chronic knee pain is osteoarthritis, a wear-and-tear condition that makes extending the knee painful and uncomfortable. Osteoarthritis can develop from everyday friction, excessive stress, and natural degeneration. The degeneration can cause the meniscus to become brittle and deteriorate, making even basic movements difficult as the bones begin to rub against one another. To treat osteoarthritis, patients may opt to replace the arthritic knee with a prosthetic implant made of metal, strong plastics, and sometimes, ceramics. This procedure, called total knee replacement surgery, is an effective method of restoring joint function and alleviating knee pain. 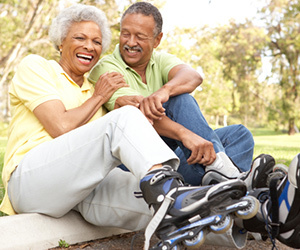 Knee replacement implants are durable, and typically have a lifespan of ten to twenty years. During total knee replacement surgery, the fit and alignment of the implant have significant impact on a patient's recovery and post-op joint movement. To provide patients with the most natural joint movement and increased mobility post-op, Dr. Kastrup will often recommend the use of a recent innovation in total knee replacement, known as custom-fit knee replacement, which allows Dr. Kastrup to more closely match the patient's body to the implant's size and alignment. Upon recommendation of Custom Fit Knee replacement for qualifying patients, Dr. Kastrup will order an MRI to be taken of the patient's knee. The MRI data will provide precise measurements of the knee, which will be compiled into a 3-D composite model of the patient's unique joint. This 3-D model of the individual knee will be the basis for the creation of a patient-specific prosthetic component. To increase the accuracy and precision of the surgical procedure, the computer-generated image will be used to produce cutting guides for the surgeon. The guides will assist Dr. Kastrup with ensuring the most effective fit and alignment of the implant during the procedure, with as little disturbance of the surrounding muscle and tissues as possible. Innovations in technology and implant design, such as Custom Fit Knee replacement, offer patients many potential benefits, including improved joint placement and increased alignment. Patients who undergo Custom Fit Knee replacement often experience a more natural feeling joint, as compared to a traditional "one-size-fits-all" knee replacement, because of the use of MRI imaging and special computer software to develop a customized knee implant that matches the patient's anatomy. Additionally, the improved fit can lead to decreased wear on the implant, potentially increasing the implant's lifespan. Dr. Kastrup is one of Las Vegas' most renowned knee surgeons, specializing in the use of minimally invasive techniques and recent innovations in knee replacement, including custom fit knee replacement. For more information about knee arthritis treatment, schedule an appointment with Dr. Kastrup at his Henderson office.